They're mixed in with some cookies b/c wtf not!? Mix the dry ingredients together, so the flour and baking powder. Then add the rest of the ingredients and mix together until well combined with a whisk. Heat a pan on medium to low. Drop a small amount of batter on the pan and flip after just a minute or two. You don't want to burn them and they're small so that can happen fast. That's it! Just serve them up with earth balance and maple syrup, OR just eat them plain with your hands like toast. That's what I do! 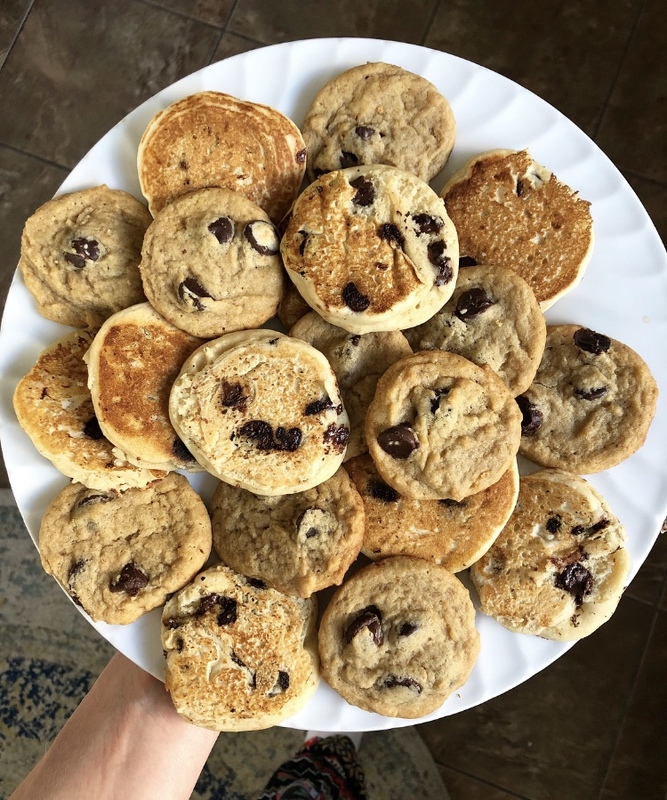 *Crowd pleaser: Set a plate of pancakes on the table with some EatPastry cookies mixed in!